Examples of what we've accomplished with the owner-managers we have partnered with. Turning around a money losing business widely viewed as likely to go out of business and transforming it into a strong number two player against the dominant player in the cookies and crackers industry. 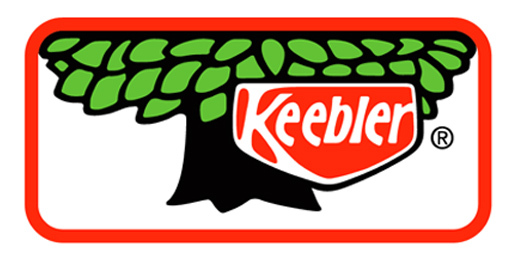 Keebler Foods company was founded in 1852 as a small Philadelphia bakery. It was acquired by United Kingdom’s United Biscuits, the number one player in biscuits and salty snacks in the UK, in 1974. Sales grew from $300 M in 1974 to $1.3 B in 1992 becoming the number two player in cookies and crackers category behind Nabisco, the dominant US player. In the early 1990’s, the company expanded sales, marketing and distribution infrastructure and spent huge amounts of money on product development to take on Frito-Lay in the salty snacks category. Aggressive competitive responses from the two dominant players in their categories prevented Keebler from gaining market share reading to negative $93 M in EBITDA in 1995 on $1.6 B in sales. United Biscuits put the business up for sale. From the outside, it looked like Keebler would soon go out of business and the cookies and crackers business would end up looking very similar to the salty snacks category, where Frito Lay was the absolute dominant player with small brands making up the remainder of the market. Invus teamed up with Sam Reed, an outstanding food industry CEO with whom we had previously partnered at Mother’s Cookies,. Together, we assembled a team of twelve senior executives who were ready to join Keebler as co-investors to turn around the company. Even though Keebler’s national direct store delivery (DSD) infrastructure was very costly at Keebler’s sub-scale volumes, it was a critical success factor in the business as it drove the merchandising in the stores, which was a big lever in generating sales. Keebler’s biggest problem was that its per truck volumes were too low to justify the DSD system. In order for the DSD system to make sense, it had to acquire smaller players to build volume, so it could bring down the per unit sales and distribution cost. These smaller brands were being distributed through warehouses and could grow significantly on the back of the merchandising strength of the Keebler DSD system. Analyzing supermarket scan data, we found out that consumers were loyal to their preferred type of cookie and bought within segments even when products in other segments had significant price promotions. We also saw that Nabisco and Keebler had very different marketing approaches. While Keebler utilized its umbrella brand famous with Ernie and the Elves characters across all the categories, Nabisco had a different brand for each segment. In the larger segments, such as chocolate sandwich cookies or chocolate chip cookies, Nabisco had developed strong segment specific brands (e.g., Oreo’s, Newton, Chips Ahoy) that were supported by heavy advertising spend. These brands commanded a very high brand premium against Keebler’s similar products. But we found out that the reverse was true in the smaller segments such as shortbread cookies. These smaller segments didn’t justify heavy advertising, which prevented the segment specific Nabisco brands from building strong brand equities and therefore from commanding brand premiums. Keebler’s umbrella brand strategy was ideal for these smaller segments. We determined that Keebler’s current performance was due to a series of poor strategic choices that focused on gaining volume at the expense of profitability and that tried to compete on all the fronts against two dominant competitors in two different categories rather than leveraging the company’s strengths. The corporate overhead was also too high and not productive. We identified an opportunity to turnaround the business to create a sustainable number two player against Nabisco by playing to Keebler’s strengths, rationalizing the costs and potentially acquiring smaller players in its categories. We brought in Flowers Industries as an equity partner and acquired the business from United Biscuits. Brought real change to the management culture. Stopped being a wanna-be Nabisco or Frito Lay and trying to go head-to-head with them on all fronts. Started picking our battles with the competitors and focused on the company’s individual identity and strengths. Exited the salty snacks business and focused on cookies and crackers. Within cookies and crackers, using the segmentation insight, started focusing on smaller categories where Keebler had a brand premium against Nabisco. Acquired Sunshine and later on President’s, the number three and four players in the cookies and crackers business. Increased volumes and productivity allowed the company to significantly bring down the DSD expenses per unit. Continued with follow-on acquisitions. In just 2 years, Keebler went from losing $93 M in EBITDA to making $202 M in EBITDA, while sales grew from $1.6 B to $2.1 B. ►Hear from Keebler CEO, Sam Reed, and other owner-managers we’ve partnered with. Disclaimer: We are not an investment adviser and do not hold ourselves out to investors as such. We do not seek, solicit, or accept investors.